Providing free WiFi, Hanting Express Beijing the South Gate of the Temple of Heaven offers rooms in Beijing, a 10-minute walk from Temple of Heaven. 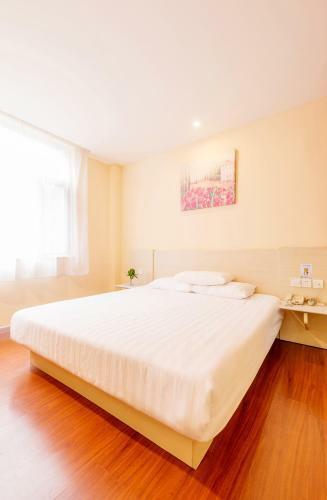 This property is situated a short 15-minute drive from Qianmen Street and Chongwenmen Area. Tiananmen Square is 20 minutes by car from the hotel. 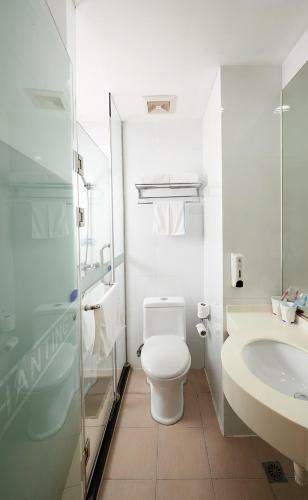 The nearest airport is Beijing Capital International Airport, approximately 55 minutes' car journey from the property. At the hotel, each room is equipped with a desk and a kettle. The private bathroom is fitted with a shower. 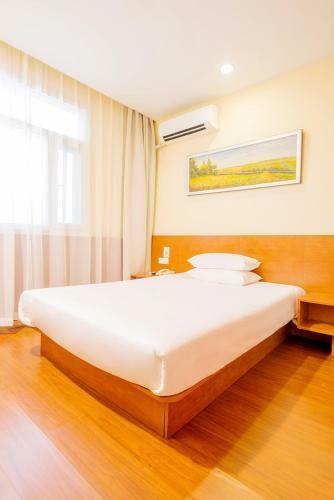 At Beijing the South Gate all rooms are equipped with air conditioning and a TV. Staff at the 24-hour front desk can assist with luggage storage and safety deposit. The hotel also comes with business centre suitable for a variety of events. Buffet breakfast is served daily. Tarif: 169,00 CNY ... 303,00 CNY; select dates below to get current rates.